After I got out of the hospital a couple of weeks ago, my skin looked pretty much like I felt: beat up, painful and just plain cruddy. 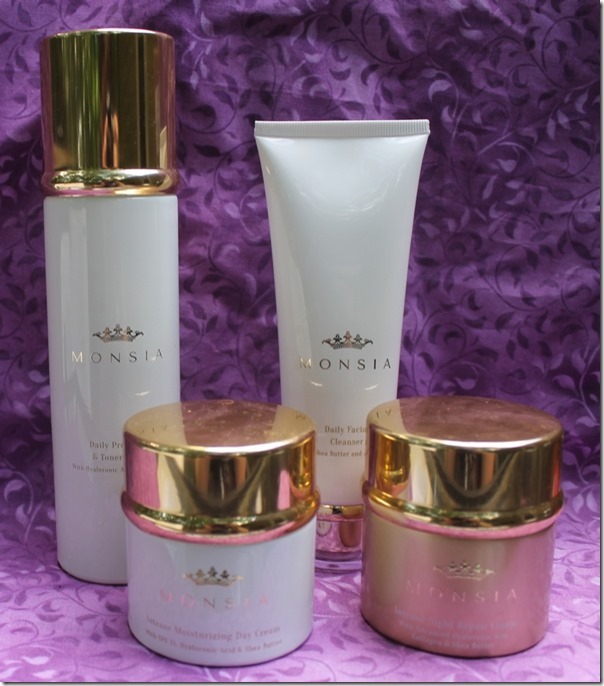 Right before I went in with complications from my surgery, I had received my Monsia Advanced Skincare Renewal System for review. One look at the beautiful bottles and jars, and I was just dying to try it out. I’m not one to judge a book by its cover, but you can tell these are going to be really spectacular products by the amount of care that went into packaging them. Sometimes those little details really make a huge difference. 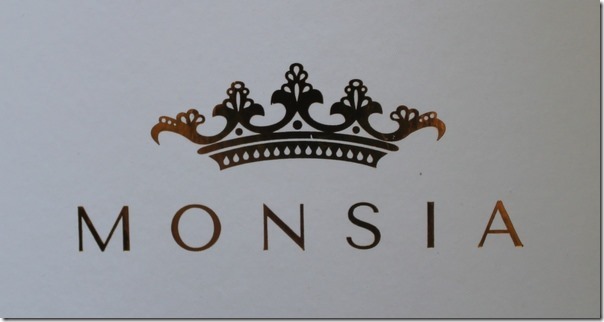 What’s in the Monsia Box? Intense Moisturizing Day Cream: This is a nice, thick day cream that, in my opinion, feels like it’s creating a smooth barrier between your skin and the outside world. Put it on before your makeup. I think of it this way, if your foundation cream or face powder is like your fitted sheet on the bed, Monsia Intense Moisturizing Day Cream is kind of like the waterproof mattress pad that you put on when you have a toddler or puppy sleeping with you. Does that make sense? I’m trying to be all metaphorical here and failing miserably. The point is, it makes my face feel like I have something on its side fighting against all the junk in the air. It contains SPF 15 protection, so it will keep your face safer from damaging sun rays. 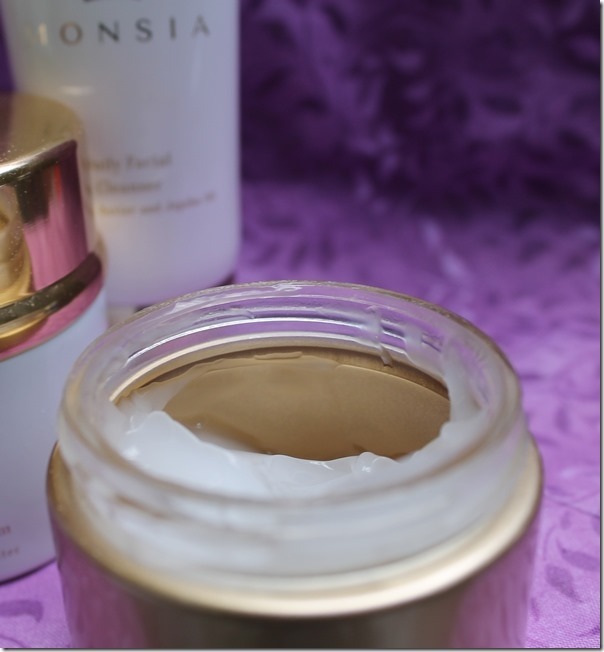 Intense Night Repair Cream: See that gold jar up there? See how it stands out like it’s special? Well, it is! This is my absolute favorite of the foursome. I put it on right after I got home from the hospital and my skin just drank it right in. Within seconds, I could really feel the difference. I went from having a parched face to feeling smoother. Just like that. It is a lightweight cream that just sinks right into your pores. I love it because it doesn’t leave me feeling greasy or get all over my pillow when I lay down. When you use all four together, your skin looks and feels noticeably better pretty much right away. Over time, it improves even more. The Monsia Advanced Skincare Renewal System was created after intense research into the right ingredients and regimen for the healthiest skin. It not only makes your face feel smoother, it can also reduce redness and even minor scarring. For more information, including a full list of ingredients and how to use the Monsia Advanced Skincare Renewal System, visit Monsia. 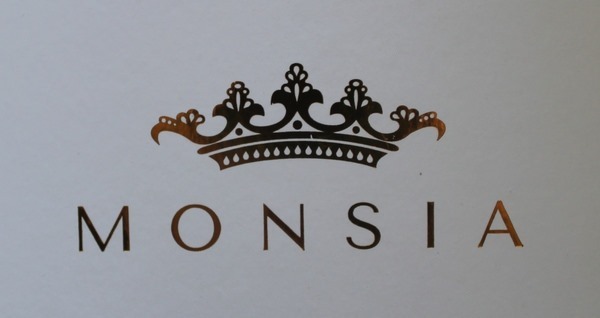 Find Monsia on Facebook, and Twitter. If Monsia could change any one thing about your skin, what would it be? I would have the wrinkles lasered off my face gently and get rid of the sunspots. This skincare renewal line looks great. I like the Intense night repair cream. I bet is works great.